It's been far too long since I've done a post of something other than food I made myself. So I'm showing you guys my pictures of the high tea I did a few days ago. I had been looking forward to it for months, and finally managed to squeeze an afternoon in for it. Teazone is a tea place in my city, Maastricht here in the Netherlands. It makes lots of English cakes and scones. And has an impressive 50+ tea choices. Our high tea had 4 courses. 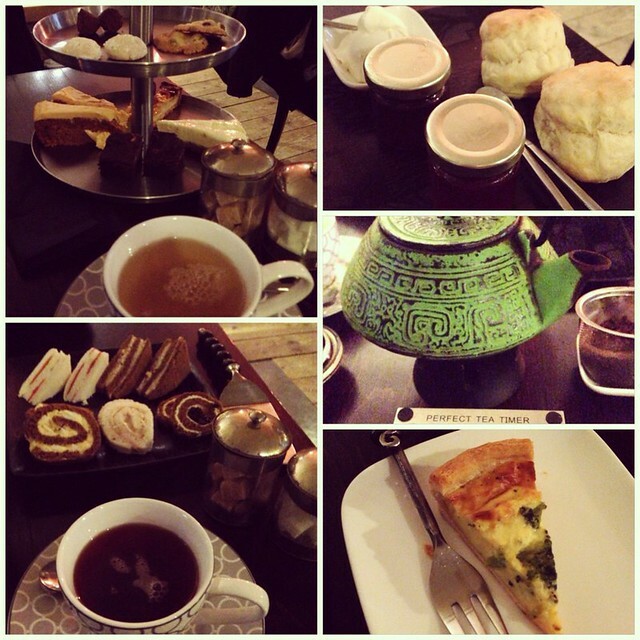 Every course was accompanied with a delicious different tea. We started with a plateau of sandwiches; salmon, tuna, egg salad, olives & chicken. The teapots were so precious! And the hourglass informed if your tea was ready to drink. This mini quiche was so incredibly delicious. 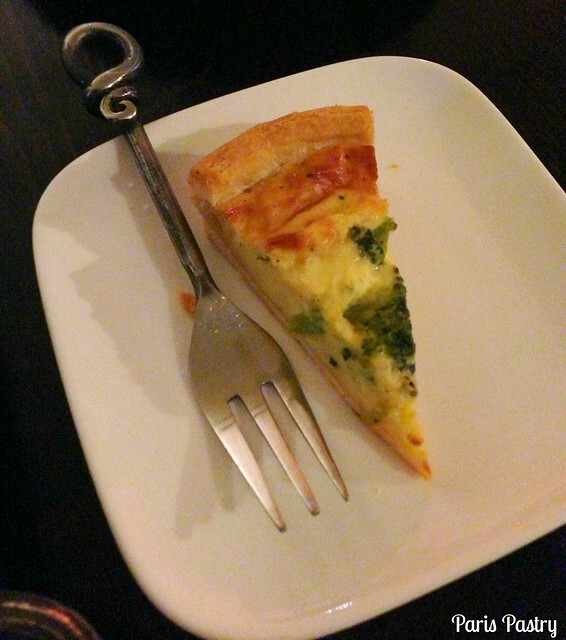 The fork is a dessert fork, so it might give you an idea of how teeny the quiche was! 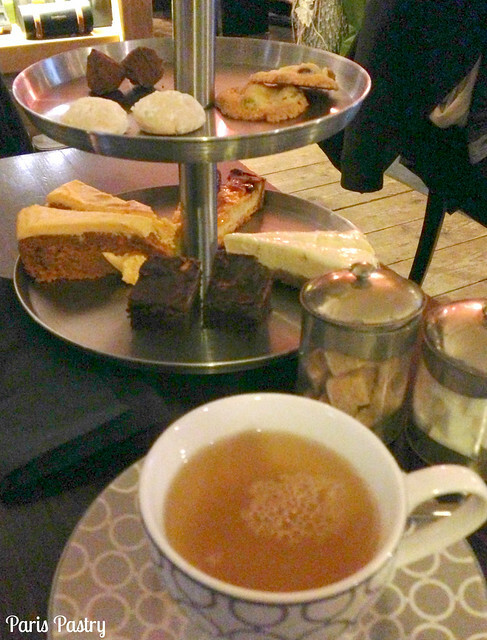 a carrot cake, cheesecake, apple tart, brownie, truffle, powdered hazelnut cookie, chocolate chip cookie... per person! I felt so sated afterwards! Hope you're having a pleasant afternoon and a good start to the year! I love high tea! There's a place in Chicago near me that my family and I used to always go to for Christmas. Some of my best memories are from those lunches! This looks heavenly. We took Jane to a Christmas tea. While she doesn't yet understand how amazing high tea is, I think she knew it was fancy! 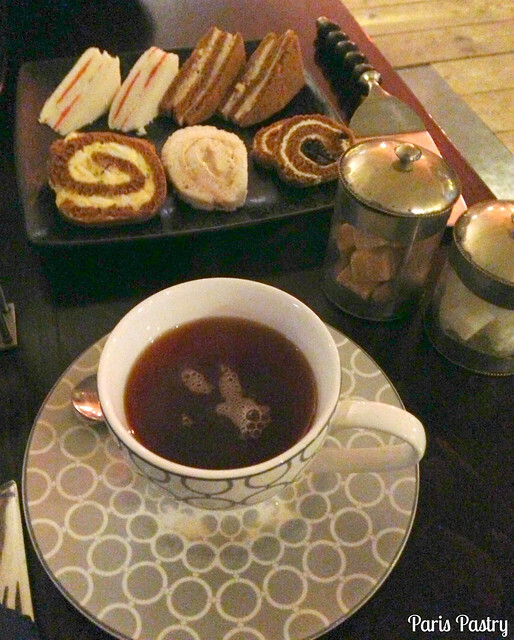 Looks so cute - love the english tea :D!! 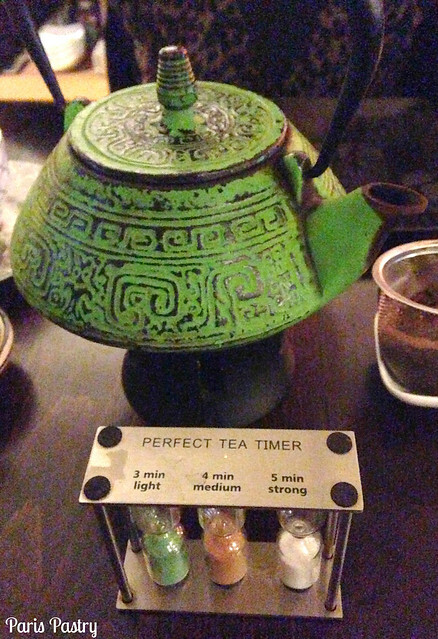 Woww, the tea pot and tea timer are so adorable...Cheers to a new year!